A country of enduring history and rich culture. It’s a land of climatic and natural diversity. It also has some of the world’s most unique foods and modern cities. It’s no wonder over two million people travel to Japan every month. 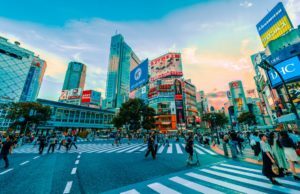 Not only is there so much to see in the country that your first trip likely won’t be your last, but, for Americans, traveling to Japan is a fairly easy task. As a United States citizen, you don’t even need a visa to travel to Japan if you’ll be in the country for less than 90 days. Being the 26th ranked safest country in the world, Japan also makes for a worry-free place to adventure, even for the more anxious kind. Visiting such a unique spot in the world, you’ll want to make sure to plan so as to make it truly an unforgettable adventure. Here are some travel tips to ensure just that. When traveling to Japan from the United States, your primary flying options are likely going to be between big American and Japanese companies. Go with one of the Japanese companies, you’ll be happy you did. Your two most likely options will be Japan’s two largest airline companies, Japan Airlines (JAL) and All Nippon Airways (ANA). Both of these airlines offer complimentary drink service (yes, we’re talking free booze), your own personal monitor with a great array of games and movies for excellent in-flight entertainment, and exceptional leg room. The latter feature is especially important if you’re flying from the east coast of the United States. You’ll be looking at a flight time of no less than twelve hours from here. It’s, in part, due to these reasons that Skytrax has both of these companies rated as 5-star airlines. Compare that with your two most likely U.S.-based airliners, United Airlines and American Airlines. Skytrax rates each of these companies as 3-star airlines. Although it’s a country made up of thousands of islands, Japan’s infrastructure makes for quick and easy travel across the country. One of the best ways, if not the best, to get around the country is by means of the Shinkansen rail lines, also known as the bullet trains. Buying the JR Rail Pass gives you unlimited access to the Shinkansen lines for the duration of your ticket (usually bought in week-long increments). Not only that, but you get full access to other Japan Rail public transportation services, such as ferries and buses. This means you can do your upscale shopping in Tokyo’s Ginza district one morning and buy your AP Royal Oak watch or Louis Vuitton handbag. Then, that very same day, travel to Sapporo and see some of the beautiful, rugged nature of Japan’s northern island, Hokkaido. From the snowcapped peaks of Hokkaido to the white, sandy beaches of Okinawa. If you’ll be traveling throughout the country with the help of your JL Rail Pass, you’re going to be passing through multiple climates. No wonder too, as the distance between Hokkaido and Okinawa is over 200 miles more than the distance from Boston to Miami. That being so, pack accordingly. Make the most of your trip and, after relaxing in the sunny warmth of an Okinawa beach, prepare for a ski trip in one of Hokkaido’s many ski resorts. No matter what draws you to the land of the rising sun, you’re not going to be disappointed when traveling to Japan. With the diversity mentioned at the outset, it’s a country that truly does have something for everyone. Now if you’re a travel lover, but are on a tighter budget, give this article a read for some tips on how to still make the most of your trip.